Larry David’s hit show “Curb Your Enthusiasm” is known for inducing anxiety and discomfort in viewers. But is this universal or culture-specific? How might Israelis perceive LD’s behavior, considering the Hebrew language lacks a direct translation for the word “awkward”? Differences in language reveal a difference in culture, suggesting that the blame for the root of Larry’s conflicts may be in the eye of the beholder. "Benji has an uncanny ability to make people laugh without even opening his mouth. You cannot help but be in stitches! Observational humor with a Jewish twist not to be missed." "I must admit, I never liked this show before Benji's presentation. 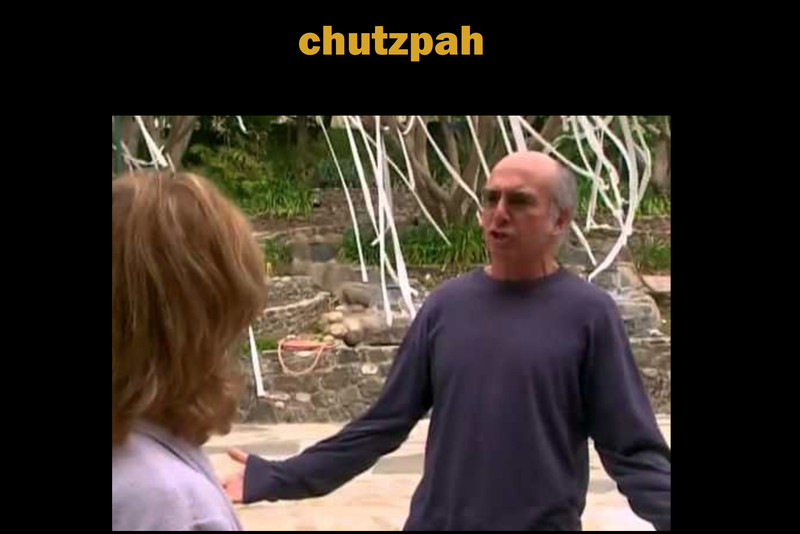 Watching these clips as an immigrant gave me a new appreciation for both Larry David and how Israeli I've become since moving here!" So is Larry rude or is he “honest”? This same question often causes confusion and misunderstandings between Westerners and Israelis. By watching and dissecting a series of hilarious clips, Benji identifies differences between the cultures to show what we can learn from TV’s favorite curmudgeon. “It takes two to tango” and Larry’s weekly battles teach us not only about his belief system, but also about his partners’. One man’s “social assassin” is another man’s good friend. 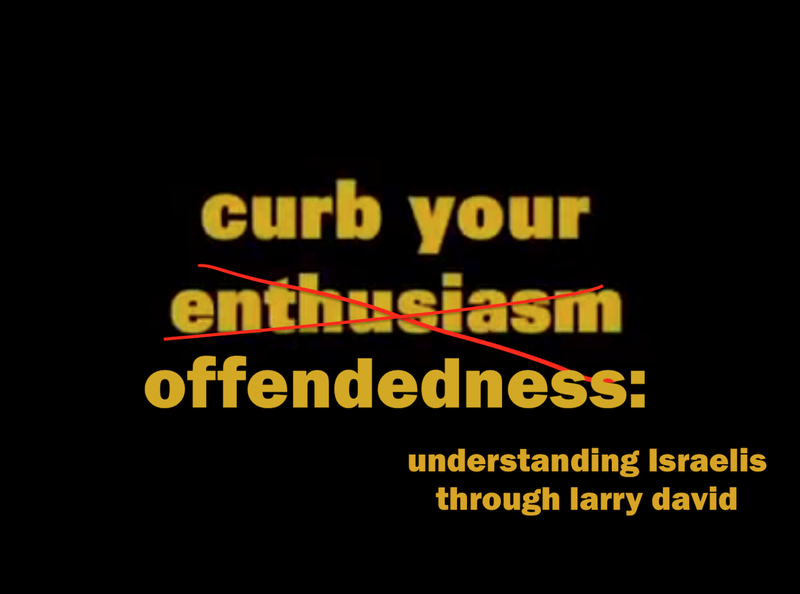 In this hilarious and insightful video lecture, we’ll learn chutzpah, straightforwardness, and thinking outside the box from a Diaspora Jew who frequently behaves like an Israeli. Want to learn more about The “Curb Your Offendedness” workshop?